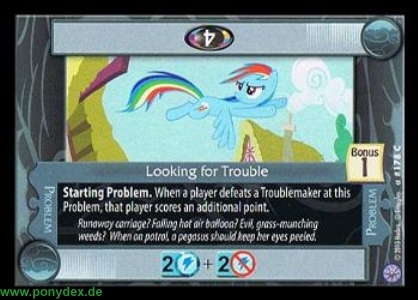 When a player defeats a Troublemaker at this Problem, that player scores an additional point. Runaway carriage? Falling hot air balloon? Evil, grass-munching weeds? When on patrol, a pegasus should keep her eyes peeled.